7 Projects for EMERALD STONE MASONRY INC.
We have worked with Emerald Stone Masonry on several projects and have always been extremely pleased with their work. They have been timely in providing proposals, completed all projects on time and are very easy to work with. All of the stone masons on our projects have been polite, creative, and very conscientious about keeping our site clean and safe. 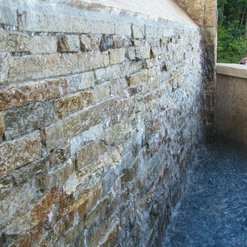 They clearly understand their craft and I have felt very comfortable giving them the creative license in boulder placement, rock walls, bluestone patios, and flagstone pathways. Theirs is the best landscape work done on our property, bar none. My wife and I have done 2 projects at our house with Emerald. First was resurfacing 2 patios and building several small and large retaining walls. Second was building a large retaining wall in the front of our property. For both projects Emerald designed, project managed and handled all the masonry and construction work. Excellent quality, delivered projects on time and budget. Great people to work with. Highly recommend them. 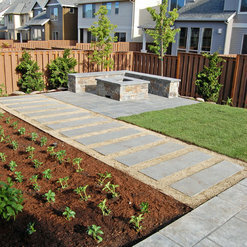 Emerald Stone Masonry was an excellent company to work with on our garden renovation project. The quality of the work was superb, and any adjustments needed were gladly and professionally completed in a timely manner. The people working on our project were all friendly, courteous, and capable professionals whose goal was a quality, on-time, on-budget project. Highly recommended, and we would gladly work with them again. 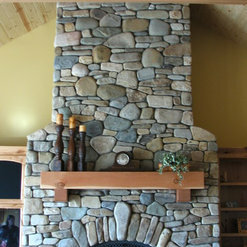 Emerald Stone Masonry---Chris Randles and Terry Olson--are always a delight to work with. They are always professional, respectful of the client and the site, do excellent work, are attentive to details, plus they are artisans-Rock artisans! They are easy to collaborate with in order to achieve the highest quality in design and craftsmanship. I highly recommend Emerald Stone Masonry and several of my clients have used them to install my landscape designs with great success. For the job pictured below, Chris went hiking to study streams before beginning the 60' long stream I had designed. The challenge was to create a realistic looking stream on a flat lot. I asked Chris to set the stone so it looked like there was a geologic fault that created an uplifting in the area. When 2 separate visitors to the site mentioned it looked like a natural up lift, I knew we had succeeded in making the stream believable. 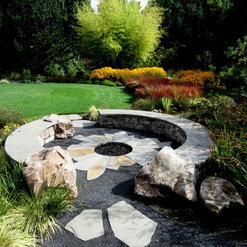 ES Masonry also installed the inviting fire circle and large patio. Emerald Stone Masonry installed the extensive stonework, grading and drainage for a challenging small property that I designed. The majority of the work was done over the winter under very muddy conditions, yet the site was well managed for cleanliness during the entire process as the clients had to cross the work zone to enter their house each day. Chris Randles was a pleasure to work with, cheery, accommodating, collaborative and an amazing artisan. He is a true artist and his creativity shows in his stone placement and flatwork. 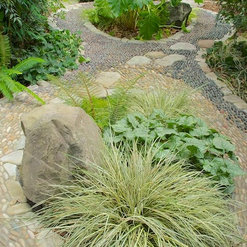 Not only was he there for me, our client and the landscape contractor that was part of the team, but continued to be available for follow up and problem solving after the job was complete. They were very clear about any change orders that were needed, leaving no questions at the end of the project. 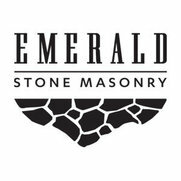 I would definitely use Emerald Stone Masonry on future projects and look forward to doing so. I think the pictures speak for themselves. 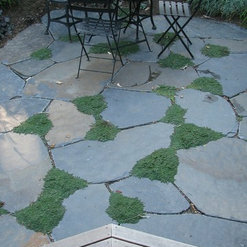 I was adding a flagstone patio and being an artist, I had a good idea of how I wanted it to look. I hired Emerald to do the work which invovled preparing the site, then bringing in and strategically placing boulders and finally setting the flagstone in a paticular pattern. It was a fun project and I was very pleased with the willingness of Chris to work with my ideas (even taking me to chose the boulders), and make changes when neccesary. He has a good sense of design and is creative. The men who did the hard labor were great to work with---they took pride in what they did and worked hard even when the temps were over 100 degress. The patio came out great, was finished in a timely manner, and I would be willing to hire Emerald again. Emerald Stone Masonry built a 7 x 9 foot natural stone fireplace that required precision integration with a Douglas fir shelving system. The composition included Columbia basin basalt, alpine granite and Montana Chief stone. The stones were precisely fit without mortar seams (stacked stone). The workmanship was impeccable. Moreover, the artistry brought to the project by Chris Randles was outstanding. 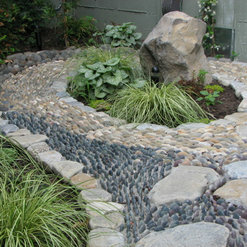 Every stone was individually chosen to enhance the composition. Each was cut and placed to create a layout that allows the eye to wander effortlessly along the artistically composed surface. Chris and his crew are highly professional and take great pride in creating art work in stone. We hired Emerald Stone Masonry for the construction of a lower terrace garden with custom stone fire pit, bluestone patio and bocce ball court. We were very pleased with their high quality craftsmanship and attention to detail. The final product was exceptional and we would not hesitate to work with them again. I'm a general contractor and worked with many subcontractors, but I'm always impressed by the professionalism and skill of Chris Randles and the crew at Emerald Stone Masonry. It's rare to see true artistry in building, but I can say without irony that that is what Chris brings. He's helped me with several patio, walkway, and garden projects and he's great at understanding my vision and bringing it to life. He's really easy to work with, sensitive to my budget, and a great communicator. I'd highly recommend them. HU-964371861 reviewed EMERALD STONE MASONRY INC. Commented: Nice Effect! Are these set in mortar, or glued?Thanks for your kind words, Reuben, and thank you for liking us on Facebook!